A new discussion paper published by ICARDA and the CGIAR Research Program on Climate Change, Agriculture and Food Security (CCAFS) outlines how the Middle East and North Africa (MENA) can address climate displacement and outlines a resilience strategy. 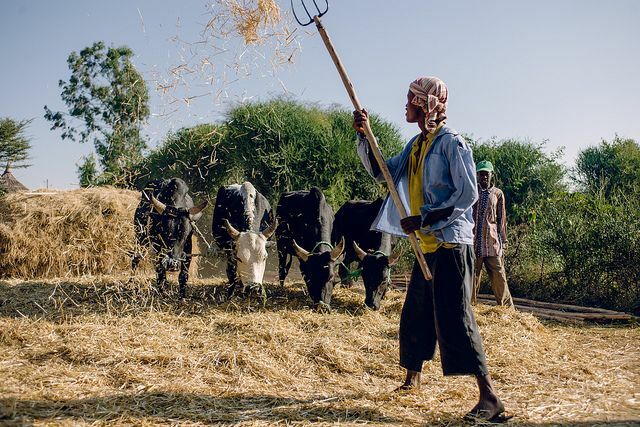 The MENA region is particularly vulnerable to climate change as agriculture provides a key source of income; environmental degradation in the area and a decline in productivity could result in large scale displacement, the report warned. The report advises that strategic investments should be made to strengthen resilience and protect rural livelihoods. In order to prepare for and recover from climate shocks such as drought, communities will require support and investment. The resilience strategy presented in the report is not designed to stop migration but to give rural communities the option of remaining where they are and protecting their livelihoods. According to the report, a key aspect to achieving this is improving data collection and developing an evidence base to inform policy and decision-making. It is key to identify knowledge gaps, linking census data to climatic information and ensuring environmental indicators are incorporated into household surveys. Vulnerable areas should be targeted with adaptation methods that respond to both short and long term risks. The region is extremely exposed to climate shocks, such as drought, which requires an early warning system, weather-index insurance and climate advisory services. It is predicted that the MENA region will experience hotter and drier conditions over the course of the century which will require a holistic response incorporating water conservation, biodiversity, farming systems, sustainable value chains and technology. Some areas in the MENA region will become incompatible with agriculture, the report advises that these regions look towards alternative livelihoods such as tourism and solar power generation. Migration will also be critical for these areas, reducing climate-vulnerable areas and strengthening their resistance through remittances and new ideas. A key challenge for countries looking to implement resilience-strengthening methods is accessing funding, particularly given a decline in donor investment in agricultural research. The report highlights the importance for MENA countries in adopting strategic and practical outreach plans that target diverse funding sources and engage with the private sector. Similarly, the capacities of government agencies, ministries and research systems must be strengthened to incorporate new technology and undertake research most effectively.